We started experimenting and breeding with autos when they were new to the market, autos amazed us with the speed of their development - so fun to grow and stealthy. The problem was the lack of quality and the limited varieties available. And so began the journey to create high quality autos from our favorite photoperiod strains. 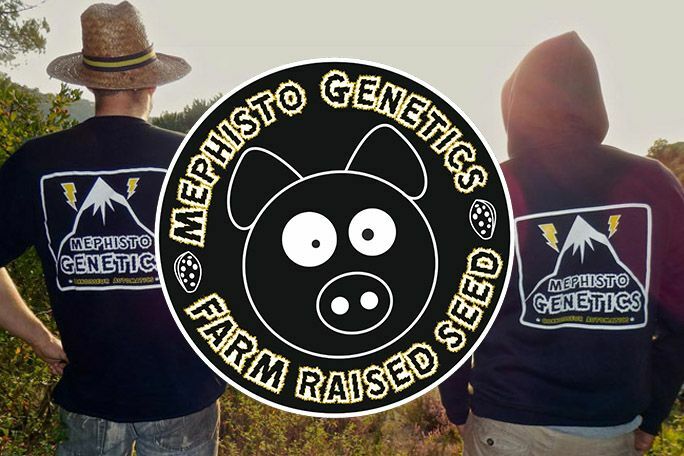 This continued until 2011 when the idea of Mephisto genetics was born and we made the decision to move countries to further develop our unique world first autos in a larger more professional environment. Autos require a different mindset and way of growing to extrapolate the best results from them. But once you learn and get a feel for them they're so fast and easy. The best tip would be to join: autoflower.net it's a wealth of information about autoflowering cannabis, read through people's journals there, see what products they are using and replicate. Here at Mephisto we are all for medicinal cannabis, many of our customers are medicinal users and it provides us great joy to know our varieties are helping people to be well and grow their own. We hope the movement continues its momentum and reaches every corner of the globe. Here at Mephisto we are continually developing our brand and our strains. In 2016 we are launching our best auto strains yet, our artisanal line. These strains were created using our current lines of Mephisto autos which were out crossed again to high quality photoperiod strains and re-worked into automatics over 4 generations. We will start by releasing 4 strains which include auto versions of skywalker og, grape stomper og, the livers and more. It's very hard to pick a favourite strain of all time, after all variety is the spice of life. But if we have to choose one it would be 'the livers' or blues as it's known to some. It's a clone only early 90's strain that we grew up with in the north of the UK, and are in the process of developing an automatic version. We see the future of cannabis as huge, the more people growing, the more research, the more the old negative propaganda can be forgotten. We would like it to be everyone's personal choice and for people not to suffer or be penalized for its use. We're a small company trying to do everything the right way, we really value our customers so if you want to join in and support us or talk about autos we're always here!